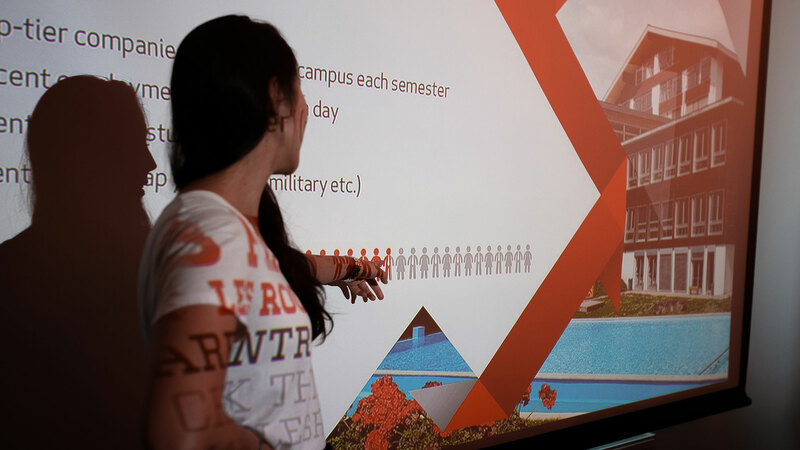 Les Roches – a top-ranking global hospitality and tourism management school – came to us looking for a visual identity that could communicate their values and offering to prospective students and their parents. We got straight to work interviewing staff to truly understand what their target audience were looking for. The solution was to encapsulate the ambition, drive and entrepreneurial spirit of their students in clear messaging and modern angular design for easy replication across all marketing materials. 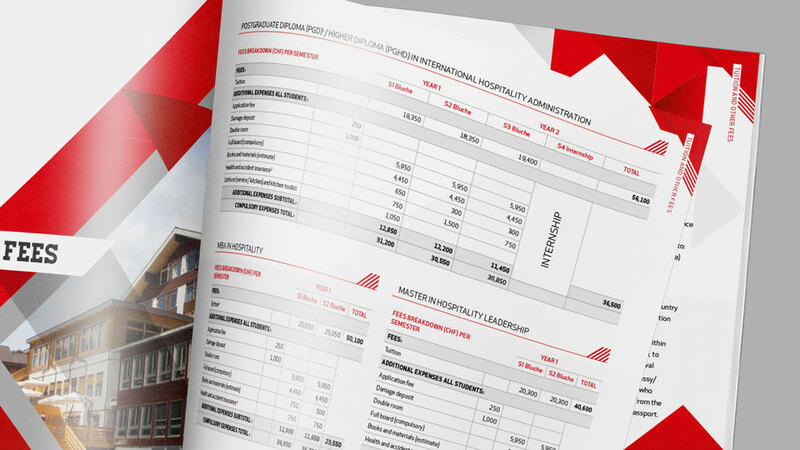 Les Roches has an international target audience and any messaging developed needed to appeal to a wide range of cultures, whilst giving the management school its own clear identity from partner school Glion. Following extensive research and plenty of interviews, we identified Les Roches’ key focus of entrepreneurial spirit – and carried this through all messaging for a wide range of deliverables. Many of Les Roches’ graduates go on to start unique businesses, and their site madeinlesroches.com showcases inspirational stories from their alumni. 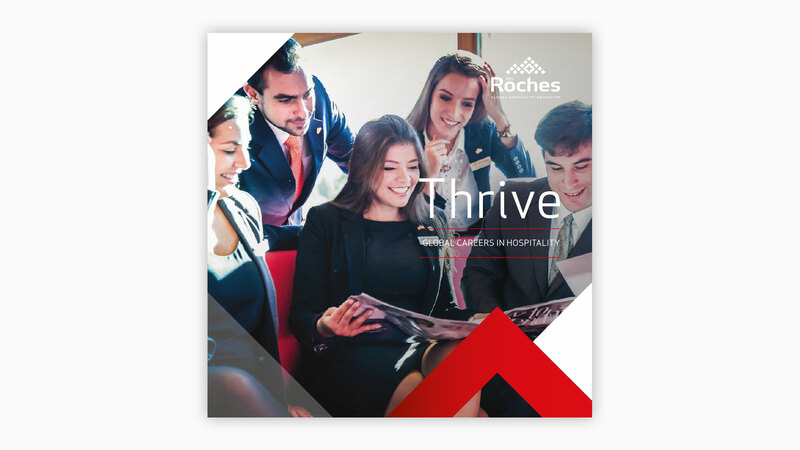 This inspired us to develop the “breaking the mould” concept, focusing on real-life examples of students who have broken the mould and gone on to set up innovative and successful hospitality businesses, highlighting Les Roches’ core values of global, entrepreneurial and lifestyle. Playing along with this concept, we then turned shards of broken glass into angular shapes and applied clean lines, gradients and modern design to give a fresh look and feel. A simple sans-serif typeface was chosen to help simplify and modernise. 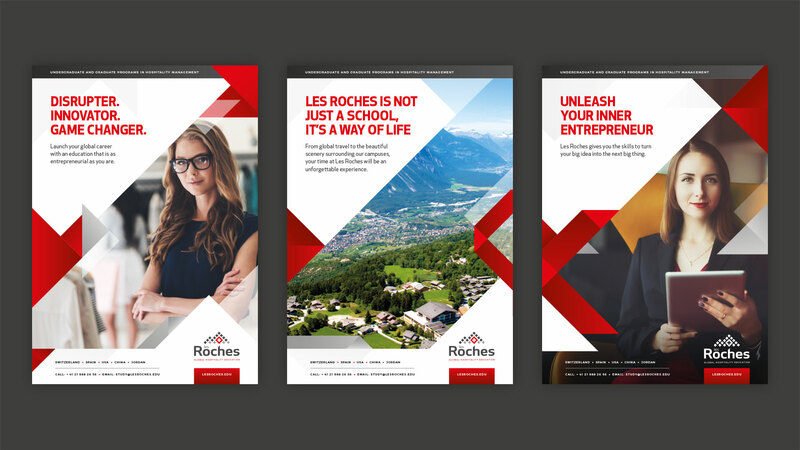 Les Roches wanted an identity and clear visual theme that could flow through all deliverables, and were eager to utilise their new look and feel for a wide range of materials such as sales presentations, brochures, prospectus and a series of adverts. 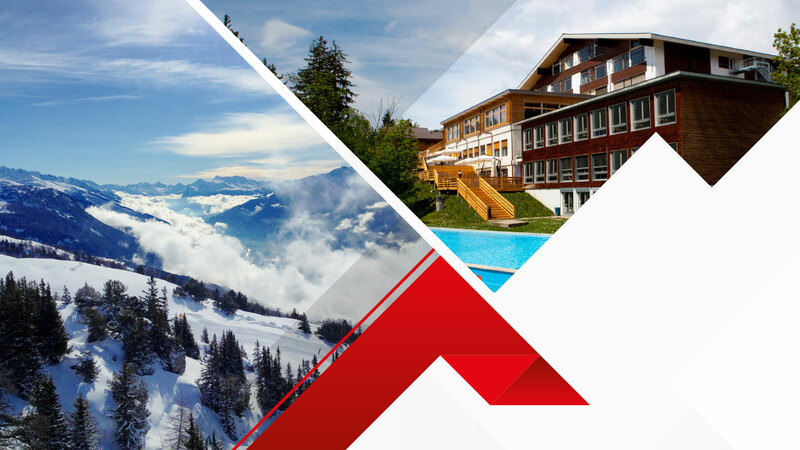 We worked to create flexible solutions they could easily update themselves in the future, as well as core messaging that can be used interchangeably, to empower Les Roches to take control of their new identity.